Note: Use descaling powder(lemon or vinegar) to clean the kettle if it becomes discolored or stained. 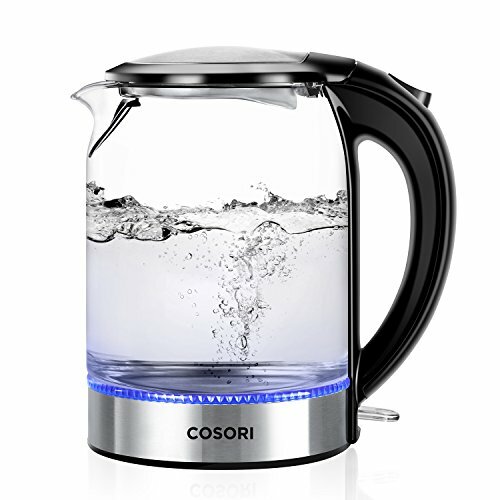 A CLEAN BOIL: The Cosori Electric Glass Kettle is beautiful, completely food-grade, and high quality throughout. 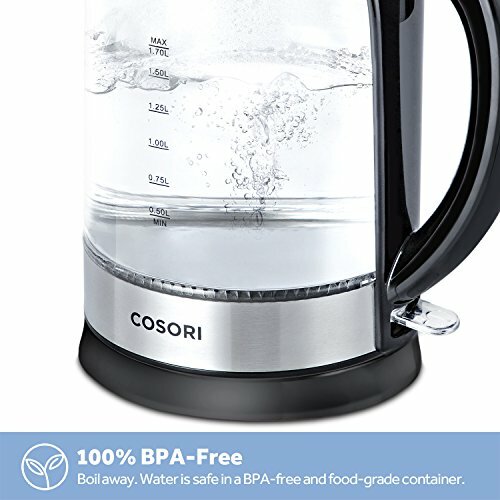 Unlike others on the market, the materials used are 100% BPA-free and include 304 food-grade stainless steel for both the inner lid and bottom, keeping your boiled water odor-free and safe to drink. 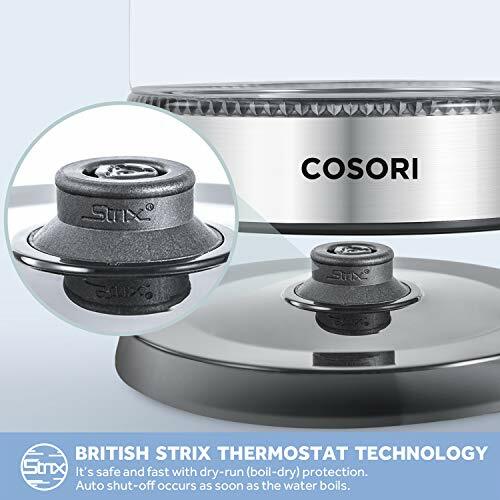 SAFE TECH & SHUT-OFF: This kettle uses Real British Strix thermostat control, which is the world's leading technology in kettle controls. 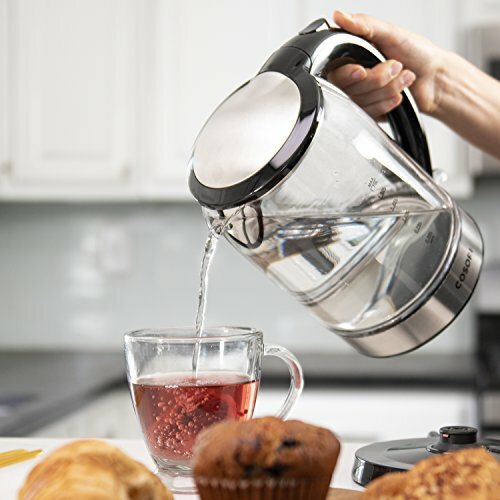 Auto shut-off (as soon as the water has boiled) protects your kettle and your home. It also has a boil-dry safety feature (dry-run protection) where it turns off if it detects no water inside. 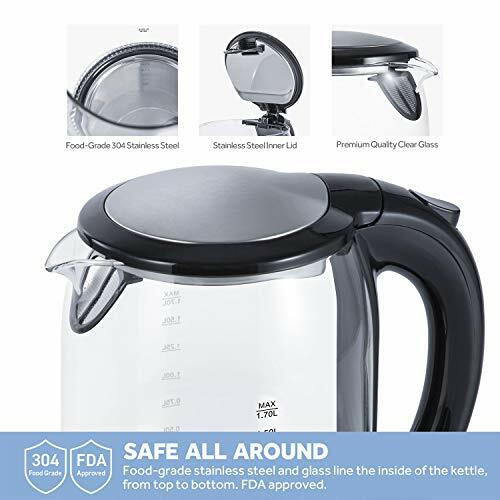 1.8 QUART (1.7 LITER) CAPACITY: Enjoy 7.2 cups of hot water ready to go per "full" boil. The minimum per boil is 0.5 liters (2.1 cups). It's easy to fill through the wide-mouth and easy to start with just one press-whole family-friendly. 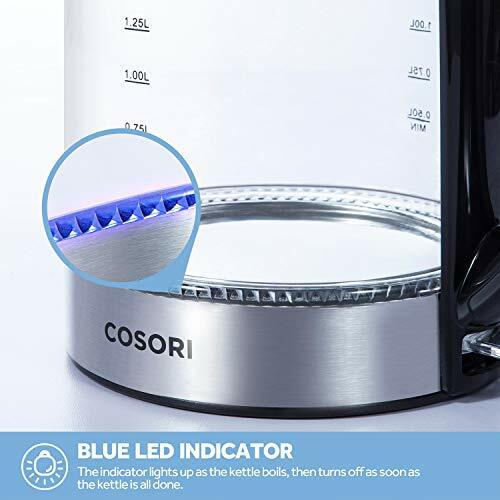 BLUE LED INDICATOR LIGHT: The LED power switch lights up a gorgeous blue when the kettle is in the process of boiling, and automatically turns off once it finishes. 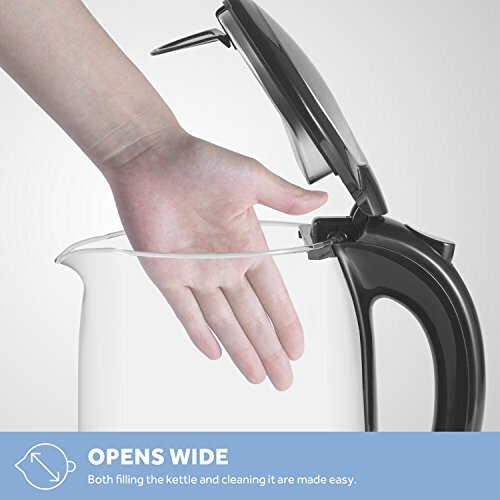 No need to babysit the kettle while it works! Yet you can easily watch its progress. 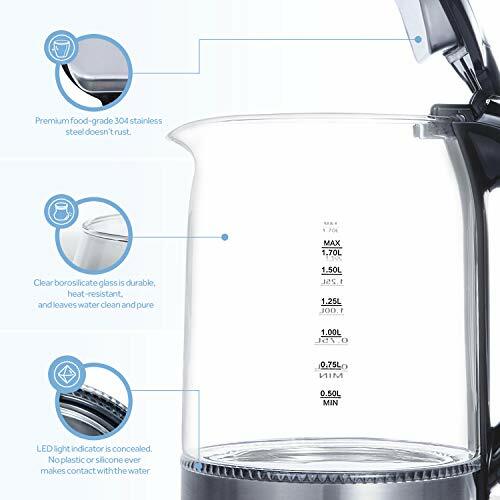 SATISFACTION GUARANTEED: 1 x CO171-GK Original Electric Glass Kettle; 1 x Power Base; 1 x User Manual. 1-year purchase assurance (with the option of extending it by 1 more year). 120V 60Hz, 1500W, FDA/ETL/CETL Approved. 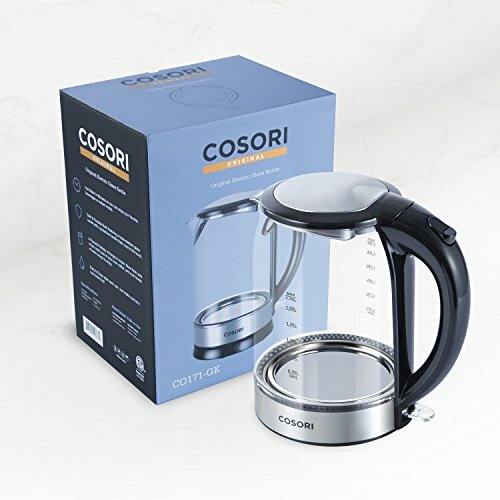 Lifetime support from Cosori.